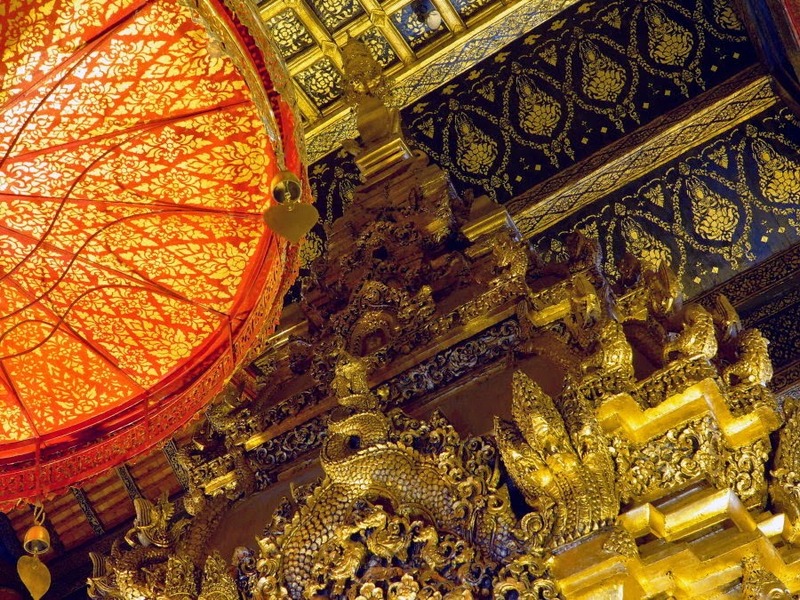 The new year began with yet more visitors: Chiang Mai has been the destination du jour, especially for Chinese tourists, but we have also had numerous visits from occidental friends and clients. One such group wanted to see textiles being made and other cultural attractions, so one Saturday we headed south toward Chom Tong. Our first stop was the water buffalo market in San Patong. 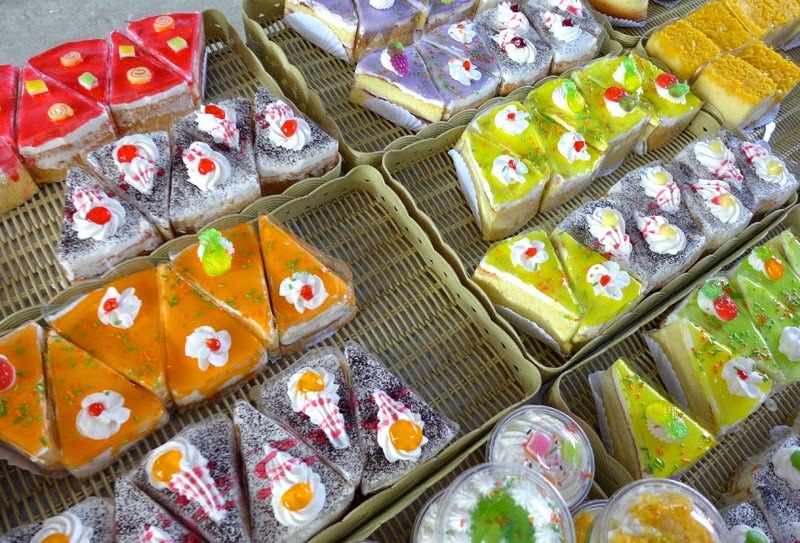 A Saturday-only rural market, it is so well-attended that it has now crossed the 4 lane highway, causing ongoing traffic to slow to a crawl. 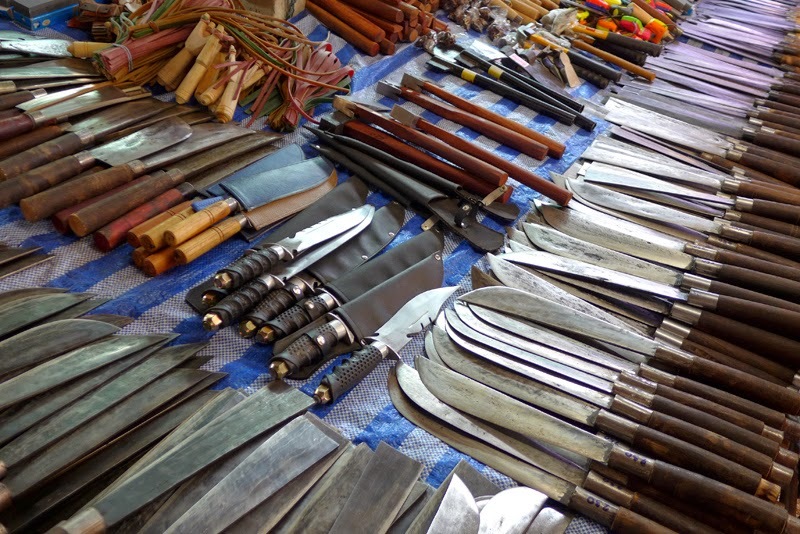 We always find fun things at this market and also enjoy the people-watching, as it brings folks out of the hills from miles around. 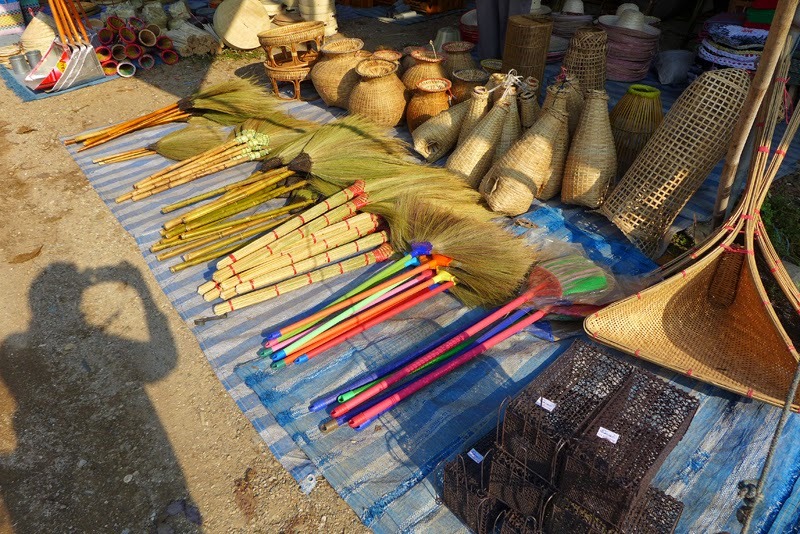 On offer are mostly useful items: baskets of all sorts, tools, clothes and of course, food. This time we saw ducklings, but were too late for the buffalo trading. 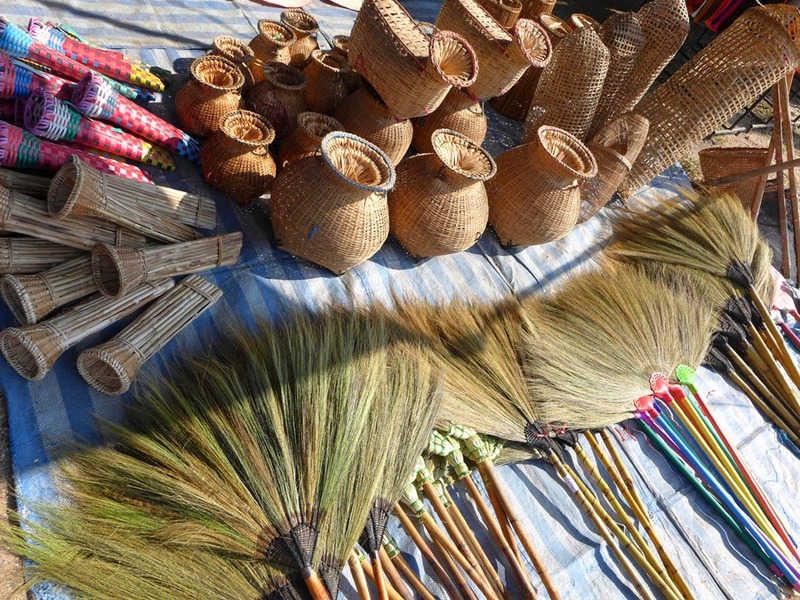 handmade brooms, fish traps, trays, traps, etc. 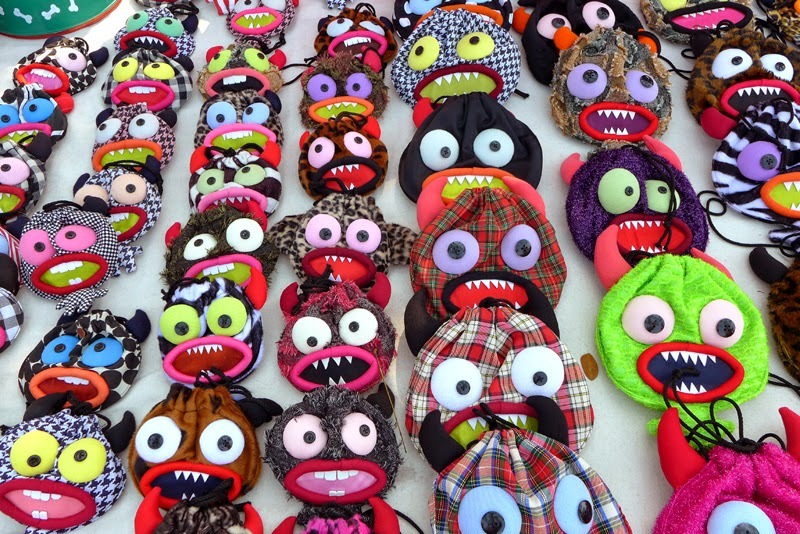 3 for 25 Baht... for your three-footed baby...? 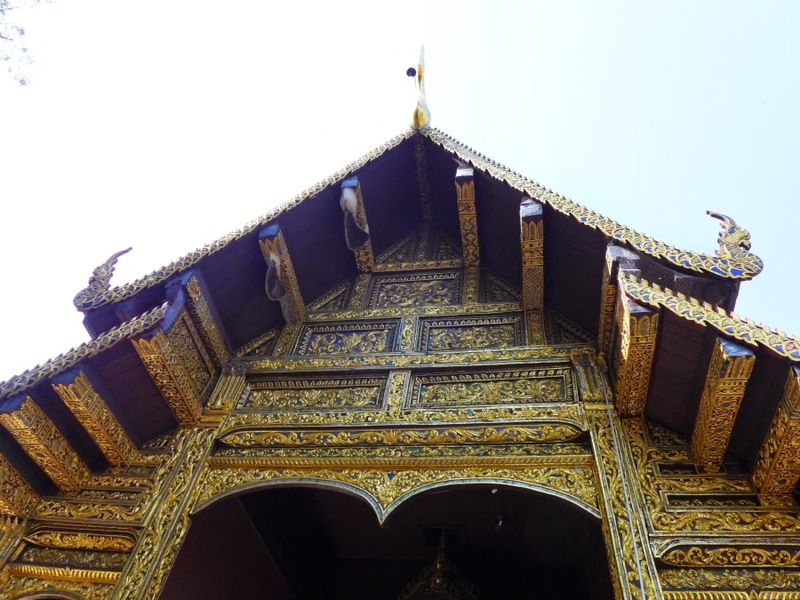 Further down the road, in Chom Tong, we stopped at the venerable Wat Chom Tong. Newly restored, it is quite a masterpiece of interior decoration. 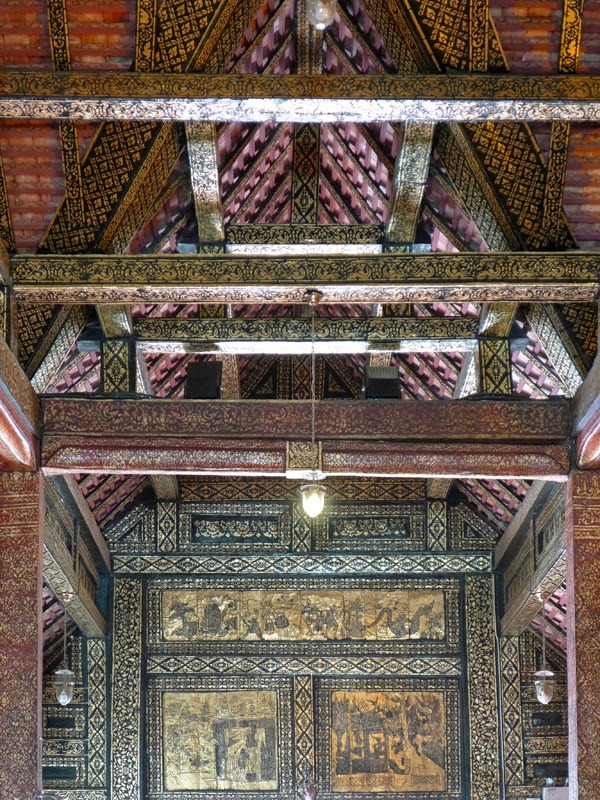 All the beams, columns and walls are painted with gold stenciled designs. 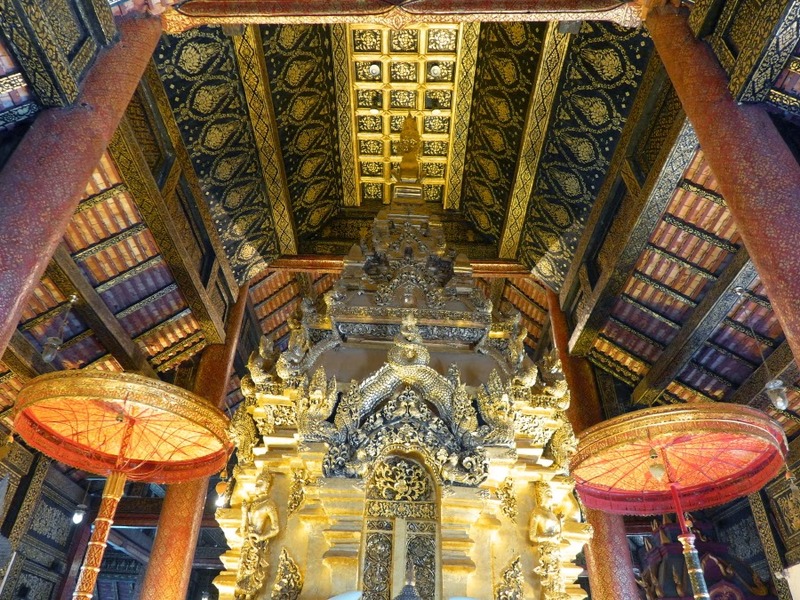 Large umbrellas help define the space and an ornately carved altar forms the backdrop for the main Buddha figure. 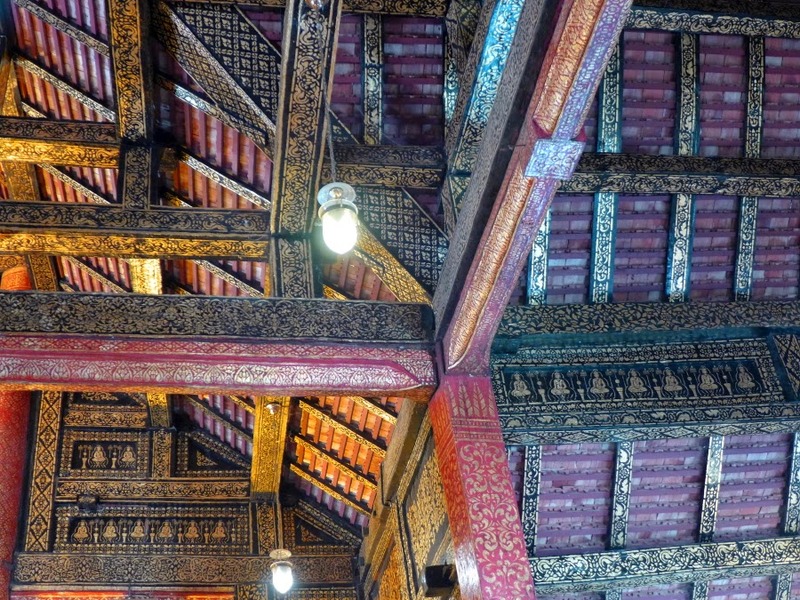 We especially like the beautifully-carved wooden 'tung', or vertical banners, that are given to a temple to make merit. 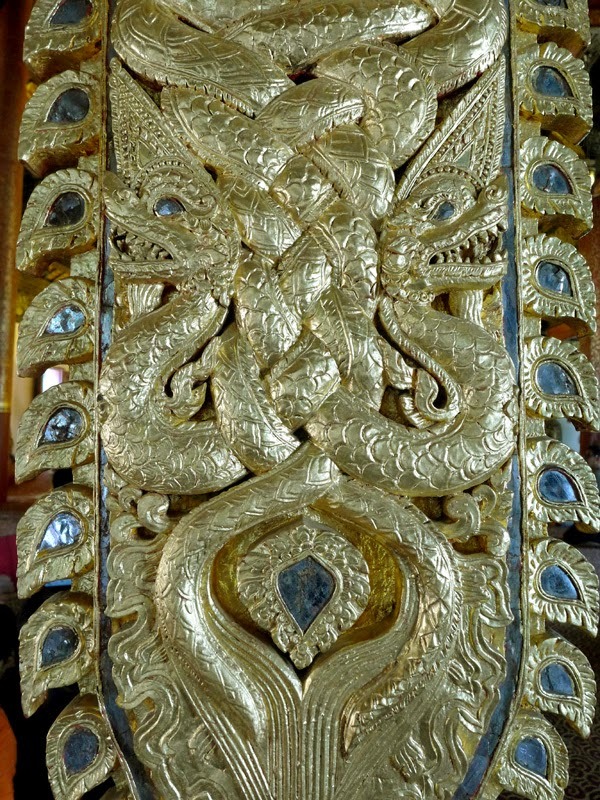 This one, below, depicts intertwined nagas, and is gilded and uses mica for the mirror elements. At the entrance to the vihaan we noticed large honeycombs hanging from the eaves (see the two left of center). 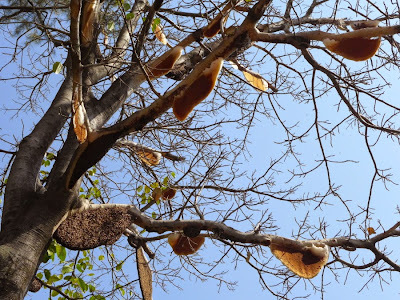 Further investigation rewarded us with the amazing sight of a tree full of honeycombs (!). The bees here seem happy!